Science demonstrations Demonstration gyroscopes are often found in a learning environments such as schools or colleges to teach the physics of gyroscopes. 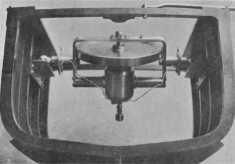 Traditional demonstration gyroscopes tend to be gimballed to allow the user to understand how a gyroscope can continually point in one direction. A gimballed gyroscope allows the user to place weights/forces to one axis to see how the gyroscope will react. The user can also put pressure on a side of the gyroscope (by touching the gimbal) and 'feel' the forces involved which often gives a little more excitement to the demonstrations. 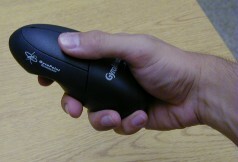 There are a number of computer pointing devices (in effect a mouse) on the market that have gyroscopes in side them allowing you to control the mouse cursor while the device is in the air! They are also wireless so are perfect for presentations when the speaker is moving around the room. The gyroscope inside tracks the movements of your hand and translates them to cursor movements. Racing Cars Gyroscopic behaviour is used in the racing car industry. This is because car engines act just like big gyroscopes. This has its uses, for example in the American Indy car racing some of the tracks are in a oval in shape. During the race the cars go round the circuit in one direction only (the car only ever turns in one direction e.g. left). Because of the of the gyroscopic forces from the engine depending on whether the engine is spinning closewise or anti-clockwise the cars nose will be forced up or down. Providing the engine spins in the right direction it can help the car to stay on the track. Spinning tops Spinning tops are a simple form of gyroscope, as the spinning top is rotated it is able to stand up right without falling over due to its gyroscopic behaviour. However the mathematics are more complex because the friction with the floor changes as the gyroscope leans to the side. Gyrocompasses are basically navigation aids. Gyroscopes don't like to change direction, so if they are mounted into a device that allows them to move freely (low friction gimbal). Then when the device is moved in different directions the gyroscope will still point in the same direction. This can then be measured and the results can be used in similar ways to a normal compass. But unlike a standard magnetic compass is not magnetic environmental changes and readings are move accurate. Gyrocompasses are commonly used in ships and aircraft. Virtual Reality Gyroscopes have been used in virtual reality headset and other VR products for a number of years. A number of miniature gyroscope sensors are placed in the headset. Wgenever the user moves their head the direction and speed is sent back to the computer. The computer can then change the display as required. 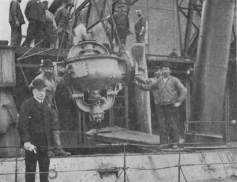 Again because of the behaviour, gyroscopes are used to stop things from falling over, some mono-trains use gyroscopes and boats/ships often use them so that in bad seas the boat is kept relatively up right and not thrown about. From the book: H.Crabtree (1914) "Spinning Tops and Gyroscopic Motion"
From the book: H.Crabtree (1914) "Spinning Tops and Gyroscopic Motion" Photo by: Underwood & Underwood. Artificial horizons / autopilot This works the same way as a gyrocompass but on a different axis. 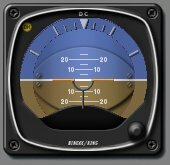 The artificial horizon gauge shows the position of the aircraft relative to the horizon i.e. the pictch of the aircraft. Segway Scooter For more details about how they work visit the segway site. 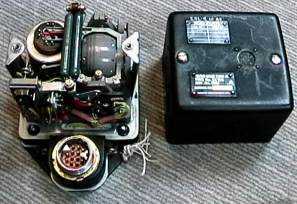 Marketed as an executive toy the Levitron is a unique invention that shows the stabilizing affect of gyroscopes. Two powerful permanent magnets allow a gyroscope to 'float' in mid air. The first magnet is placed on a level surface contained in a plastic base, while the other is housed in a gyroscope. If the gyroscope is placed a couple of inches over the base with out the gyroscope rotating and then let go, it will simply turn over due to the attractions of the magnets and will fall (or is attracted) to the base. If the gyroscope could be held completely level then the forces of the magnets will keep them apart. And this is exactly what the gyroscope does when it is rotating at high speed. The first picture shows the base magnet, with the clear plastic tray, to raise the gyroscope on top. The gyroscope has been placed on the tray and is about to be spun. In the second and third picture the gyroscope is now spinning and the clear plastic tray is being lifted to a position where the forces from the two magnets can keep the gyroscope floating in mid air. The last picture shows the gyroscope floating in mid air after the clear tray has being taken away.